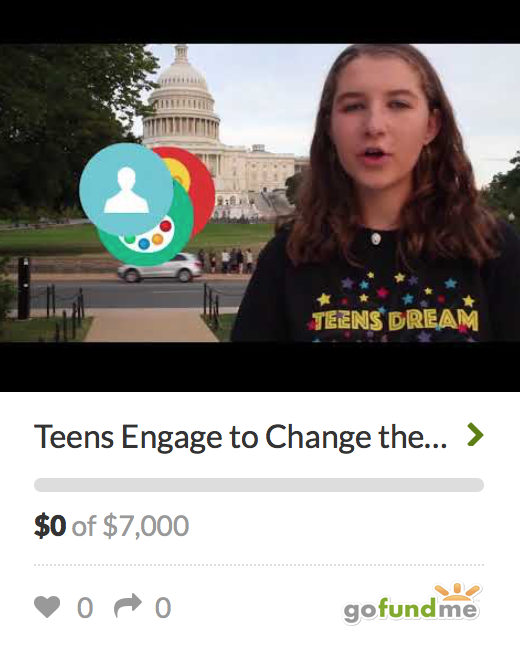 Mapping Our Dreams with Teens Dream | Teens Dream Co Lab is a collaborative of teens and adults who encourage teens globally to be change agents in their communities, and the world! Teens Dream has created a new Map for its submissions! Mapping Our Dreams is a Story Map that highlight teens’ dreams thru Teens Dream (teensdreamcolab.org). 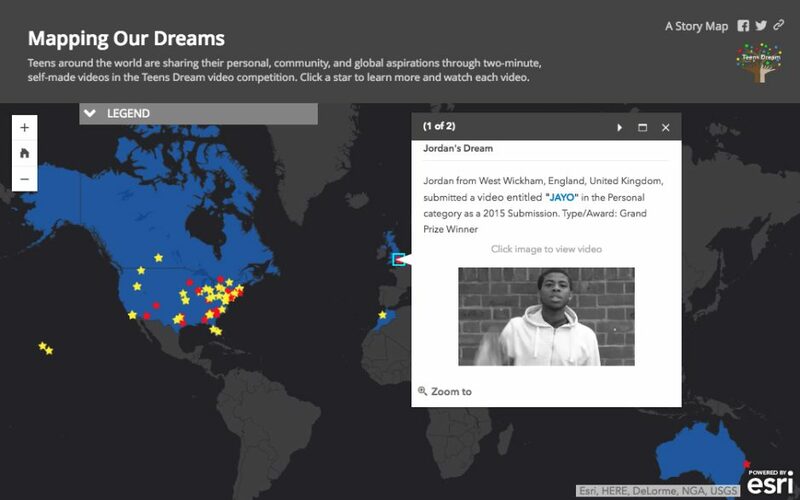 Teens around the world are sharing their personal, community, and global aspirations through two-minute, self-made videos in the Teens Dream video competition. Each star on the map represents a submission. Click on a star to learn more and watch the submitted videos and winning videos on YouTube. This year’s video competition emphasizes dreams in support of the United Nations’ Sustainable Development Goals.- a collaborative project with teens to help express and foster achieving their dreams through short two-minute videos and by finding mentors to help them make their dreams a reality. This year their video competition requires that their video be connected to one or more of the UN SDGs.